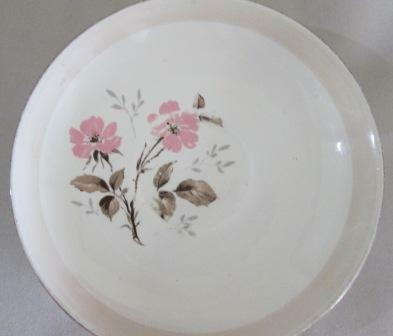 Like Mayfield this pattern has a 'wash' of pale apricot round the rim of saucer. Thanks that is delightful Kat. I just noticed this pattern has the remains of gold trim..I had assumed it was part of a series with Mayfield but the mayfield saucers have no gold trim Ssoo maybe not..? The wash band and gold make it kind of old ... Late 1950's early 1960's. Mayfield is from the 80's going by the shapes it is on. Mayfield is same age isnt it? The Pat. No. is close only 13 away..? is that relevent did they number patterns from 1-99999?? as they produced them. The Database didn't have this pattern, but it does now!! Sorry I could have added link sooner..with over 1000 patterns in the gallery it is getting harder to find new ones..makes me wonder how many more are there to find? 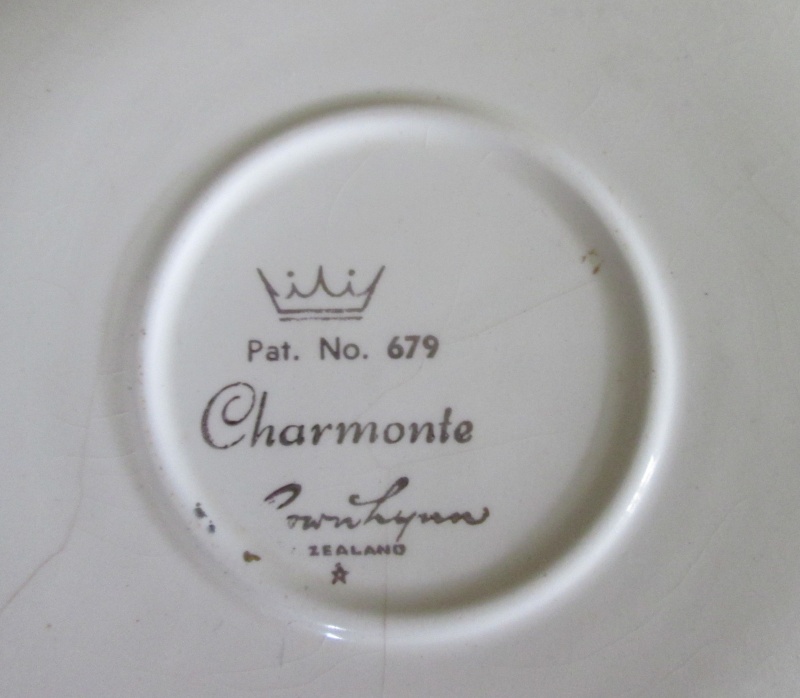 ..& I did see a baking dish on TM with 'Charnwood' backstamp we dont have. The Database has 2120 patterns in it and we have 1202 which includes 273 No-Name patterns, so we have a way to go yet and I wonder where they all are. There should be at least 918 more patterns to find, which is a lot really! oh thanks for that, I was starting to wonder if I was going to run out of patterns to look for! that lot should keep us all busy for a few more yrs! Kat, if that's the one you picked up yesterday it looks a whole lot smarter. 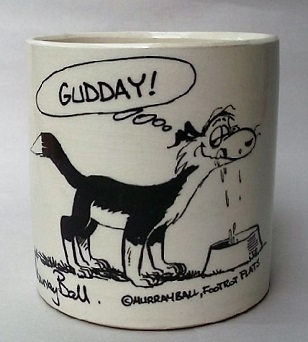 Ev, will the remaining pattern numbers include the various drip glazes on the castware mugs etc. if so we may never know what they actually are but they will use up a fair few numbers too. Yep a bit of Jif makes a big difference aye i think I got the best one...cracked & worn as it is.. Im thankful people keep these tragic cases for Mosaics..
Just to pick out some from the A's and we may already have some of these as I haven't found a way to mark them off yet. Maybe that is what I should be working on....?